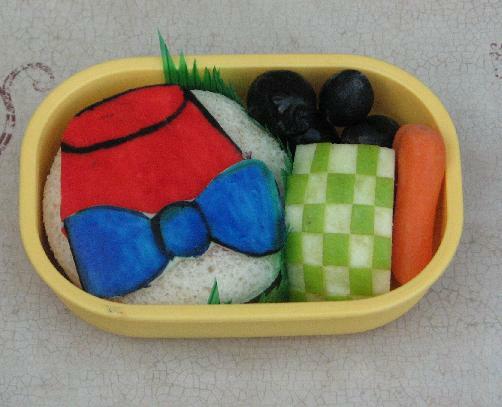 Bento for Kidlet: I wear a fez now. Fezzes are cool. I want this bow tie! So coo! !